EUDC 2012: Let the games begin! Aug 6th, 2012 | By Anja Pfeffermann | Category: Turniere | Comments Off on EUDC 2012: Let the games begin! 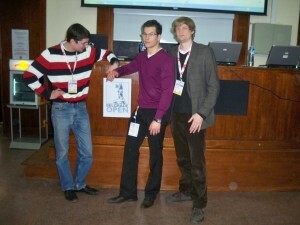 EUDC 2012: The Belgrade Bid – Who is on board? Jan 22nd, 2011 | By Anja Pfeffermann | Category: Turniere | Comments Off on EUDC 2012: The Belgrade Bid – Who is on board? We are sorry, this article is not or not yet available in English. Please check back later.